Good news! 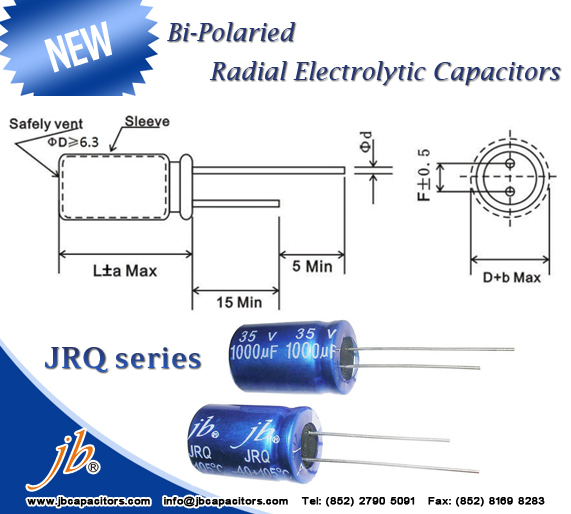 Recently we released another Radial electrolytic capacitors---JRQ series. The support is very good. Are you looking for such Bi-Polaried Radial E-cap? Welcome to send us inquiry at once. The new year is soon upon us, if you are considering upgrading your products allow us to inform you on good news regarding our range. 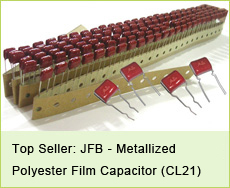 Widely used in LC resonant, high frequency, high current situations. Below you will find our JFMA situations. This is no need for concern, the LC resonant will maintain its stability like never before! Furthermore current promotions have allowed prices to drop considerably, so now is the time to buy. If you are interested don't hesitate in contacting us with your request for a product sampling test. •	Metallized polypropylene film, non-inductive wound construction. •	Good self-healing properties, withstanding surge voltage stressing. •	Long stability of capacitance. •	Good properties in damp environment. •	Excellent active and passive flame resistant abilities. 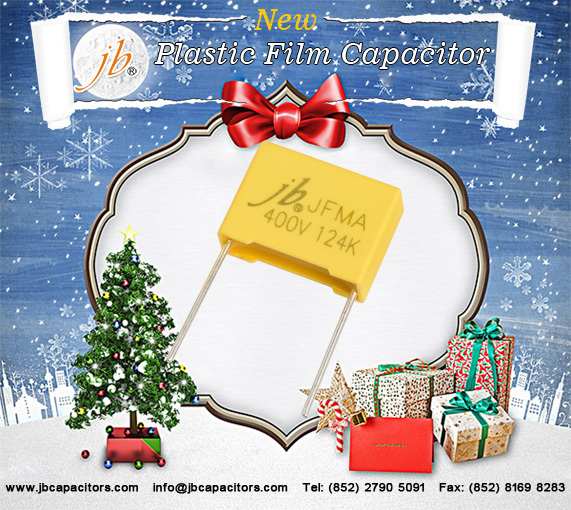 This is jb’s latest series plastic film capacitor product, coming along with Christmas this month. 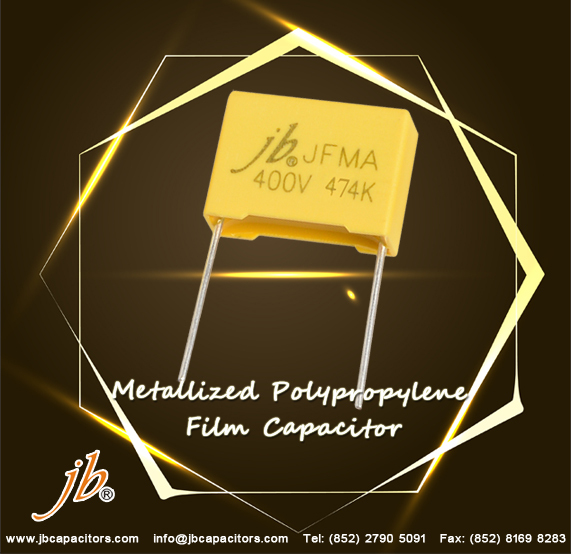 If you are looking for good quality MKP film capacitors with favorable prices and short delivery time, you must continue to see below feature of JFMA. Welcome to check below specification form to know more about JFMA. Hope you contact us with your valuable comments and inquiries. jb wish you have a wonderful Christmas holidays in advance! Are you ready for the Christmas holiday? jb have new series for you to celebrate with the joyful holiday. We offer it with competitive price and fast lead time. Moreover, you can order them with a more flexible quantity. Please feel free to send us your RFQ. We can offer you the best price. 2.Good self-healing properties, withstanding surge voltage stressing. 4.Good properties in damp environment. 5.Flame resistant epoxy resin powder coating (UL94/V-0). 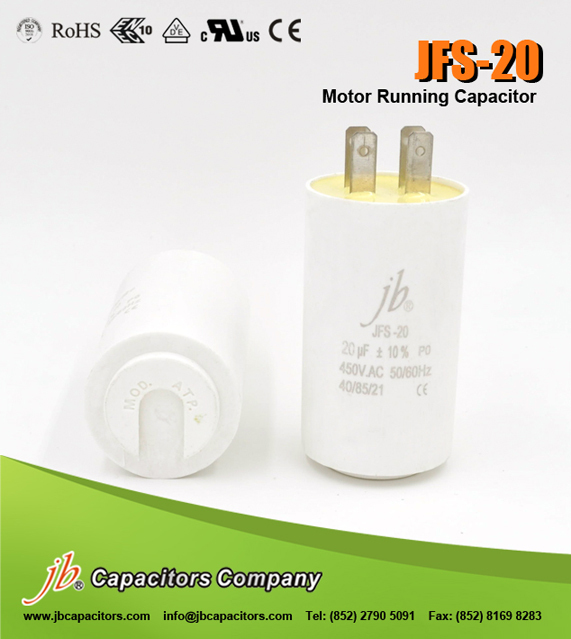 In the Motor Capacitor business field, you should know the well-known brand ICAR Capacitors‎, an Italian brand. But do you believe you can enjoy the same quality product with much better price in China too ? 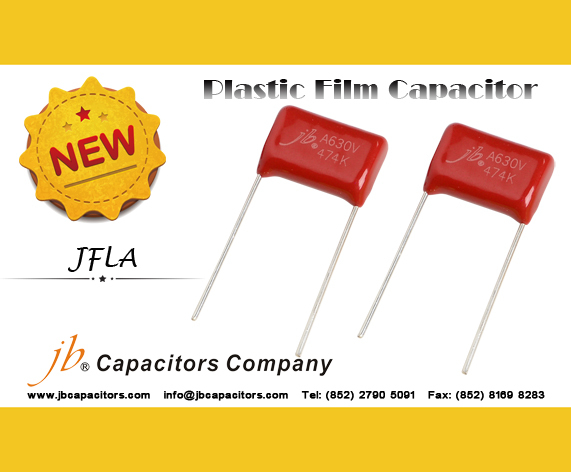 We are glad to announce a piece of good news to you that our jb Capacitors Company is capable to make this come true. 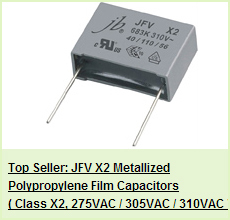 JFS - 20 motor running capacitors is developed with upgraded polypropylene film and unique U type bottom design. 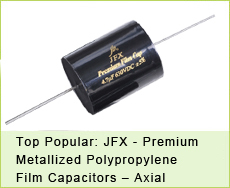 Do you know motor capacitor has a different type of plug ? What is it ? 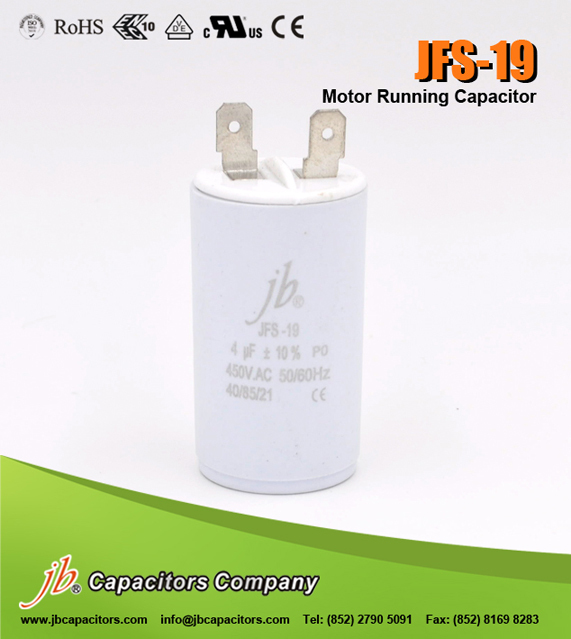 We jb capacitor produce motor capacitors with rich experence. 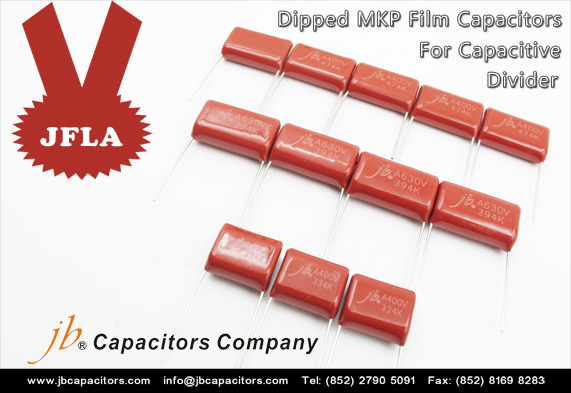 Let us enjoy more motor capacitors knowledge with you. 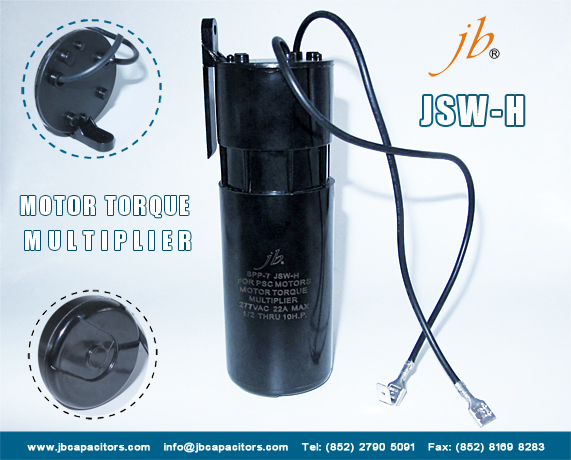 Our JFS - 19 is with Oblique Plug , which is very different from the standard plug. 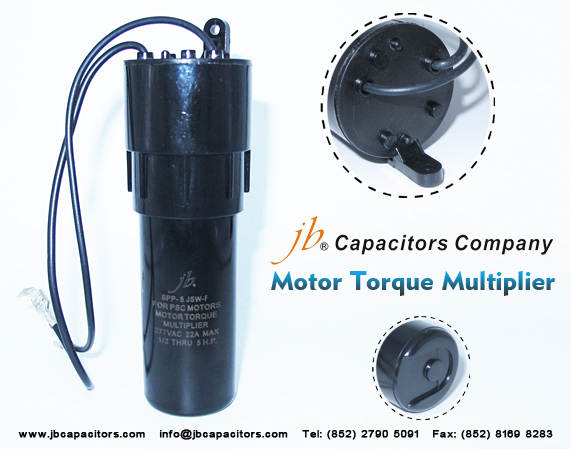 We developed this plug to meet customer special requirement. Due to this difference, JFS - 19 is only suitable to diameter 30mm products.